Three University of Newcastle (UON) researchers have today been awarded more than $4.5m in prestigious Australian Research Council (ARC) fellowships. 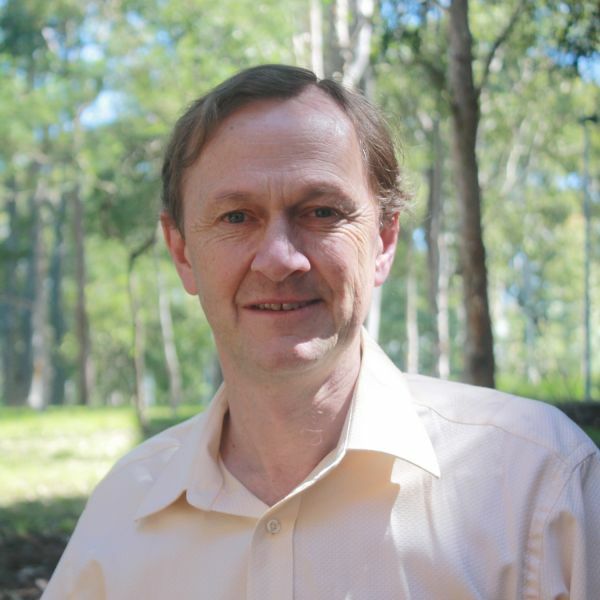 World-renowned mathematician Professor George Willis received a $2.8m ARC Australian Laureate Fellowship to support his research aimed at developing the algebraic theory of zero-dimensional symmetry – which will benefit the fields of computer science and data structures, potentially optimising computer performance. “This project is aiming to create tools for understanding the geometry of large networks. We will investigate algebraic objects known as zero-dimensional groups, which are a mathematical tool for analysing the symmetry of infinite networks,” Prof Willis said. The project, which is the latest stage of more than a century of international research on symmetry, will maintain the key role played by Australian researchers, including Prof Willis. Senior Deputy Vice-Chancellor (Research and Innovation) Professor Kevin Hall said the awarding of $4.5m in fellowships was strong recognition of the world-class research and innovation conducted at UON. "Today's announcement by the ARC is testament to the exceptional quality of research at the University of Newcastle, and the excellence of our researchers," Professor Hall said. "This funding will allow our researchers to continue investigating some of the critical challenges facing our world, and seeking the solutions which will make a difference." Dr Nicole Verrills a $928,140 ARC Future Fellowship to undertake a project that will increase the understanding of the cellular processes underpinning mammalian development. This research may lead to the development of new pharmaceuticals, methods for generating genetically-modified organisms; breeding and health care of threatened and economically valuable species; countering of the effects of environmentally-induced DNA damage in all species. Dr Michael Rotkowitz a $780,000 ARC Future Fellowship to support a project, which is developing tools to address the control of complex interconnected systems. The introduction of these systems has created a need to design and analyse controllers that can observe information from only a small portion of a network but may affect a large portion of the network. This includes smart building management, multi-vehicle systems and convoys, irrigation networks, large array telescopes, and the power distribution grid.